Capital Project Planning in modern organizations is a year-round process, not just something that is undertaken once a year during the budget cycle. So why do many EPM processes make it difficult for users to plan projects year-round? By doing so, that forces user to resort to offline spreadsheets with little organizational visibility until the budget cycle begins. When an individual has an idea for a project that would streamline a business process, the organization cannot afford to wait for three months until budget season. An integrated approach to project planning allows users to take a project from conceptualization through approvals and execution. This approach brings the tracking of capital projects into a standardized system, allowing for visibility throughout the organization during all phases of the project. 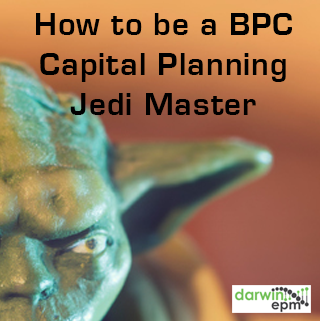 A key to the success of this approach is having separate but integrated BPC input schedules and reports focused on the level of detail appropriate to the different phases of a project.